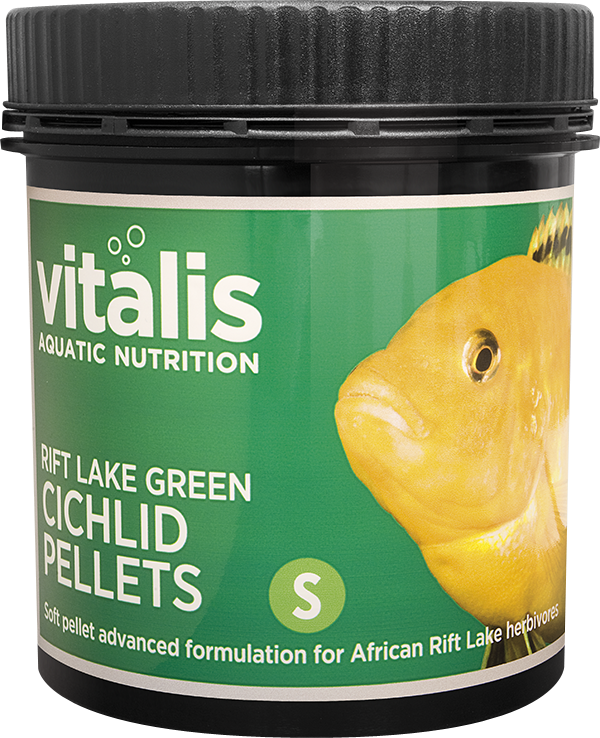 Vitalis Rift Lake Green Cichlid Pellets contains the highest quality ingredients, this low protein herbivore diet caters for African Rift Lake Cichlids such as Mbuna, Labidochromis and Pseudotropheus. 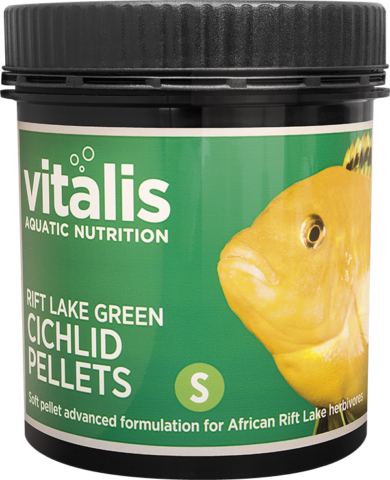 Vitalis Rift Lake Green Cichlid Pellets contains the highest quality ingredients, this low protein herbivore diet caters for African Rift Lake Cichlids such as Mbuna, Labidochromis and Pseudotropheus. 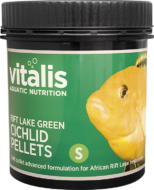 Together with a unique blend of algae, tailored mineral profile and rich source of vitamins, these pellets provide a complete and well balanced diet. 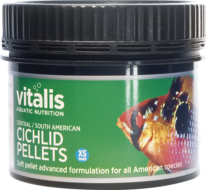 Tailored to meet the lower protein requirements of herbivorous cichlid species, this balanced pellet delivers the key nutrients from a blend of high quality algae. 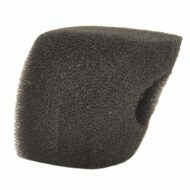 The incorporation of natural pigments ensures you will achieve a healthy colouration in your fish. 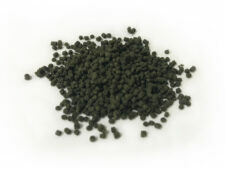 Fish and Fish Derivatives, Algae, Derivatives of Vegetable Origin, Molluscs and Crustaceans, Oils and Fats, Minerals. Protein 37%, Moisture 19%, Inorganic Matter 16%, Fat Content 7.4%, Fibre 1.8%.